Yet another innovation of the Plantronics model range was not long waited for. 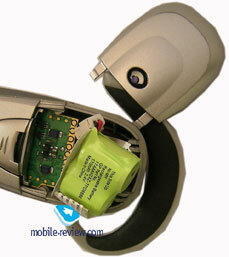 New M3500 will gradually replace M3000 headset, which will be shortly removed from the market. The internal differences of the headsets are not noticeable at first sight. M3500 is a duplicate of the previous model. However, when studied closer, the changes in the headset holders are seen. 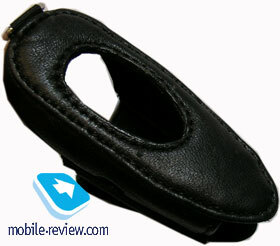 The headset holder itself is made of plastic while its inner part is of rubber. 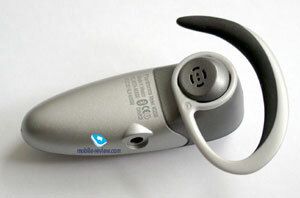 As compared to M3000, the headset is more firmly fixed around the ear. Due to the soft and enlarged rubber-insert, the feeling of uneasiness when wearing the headset comes a lot later. It is very important to choose the right size of the holder before using the headset. Two holders, one of a bigger and one of a smaller size, are included into the standard delivery kit. When choosing the size, it is worth remembering that the convenience of using the headset mostly depends on the right choice of the size. For example, if the standard 'around the head' holder or 'over the neck' holder is purchased, the weight of the headset is not detectable at all. Although the overall alterations of the headset design are minor, they greatly benefit into the convenience of headset usage. One may start feeling unpleasant after constantly using the headset for more than 3-4 hours. The lighter weight of the headset - the weight of M3500 is 27 grams (as compared to M3000 of 30 grams) should also be granted its importance here. The weight of this headset was primarily achieved due to the battery of a smaller size with the increased electronic part, which is although led to the smaller capacity of 170 mAh. After the full charge of 1.5 hours, the headset has hardly worked for 1.5 days at the average rate of 40 minutes at the talk mode per day. The headset was not turned off in the nighttime. 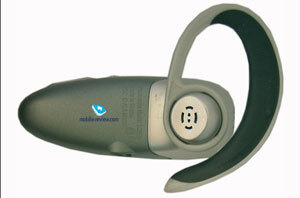 The outcome is mediocre, which means that if actively used, the headset will have to be frequently charged. It seems logical for the headset to be equipped with an option of checking the battery level; however, it is not possible. 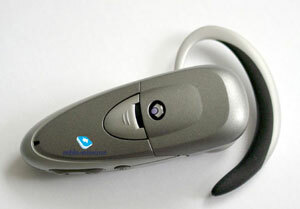 From two-to three minutes of talk are available to a user when the headset starts beeping signifying the low battery level; then the headset turns off. Having the in-car battery charger is very convenient. The distributor claims that the headset is capable of 76 working hours at the standby mode and of 3.5 hours at the talking mode. The keys array remained the same. 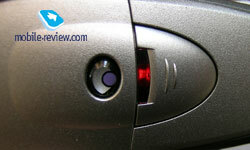 The talk button is located in the center of the headset next to the light-indicator that provides the information about the current status of the headset. 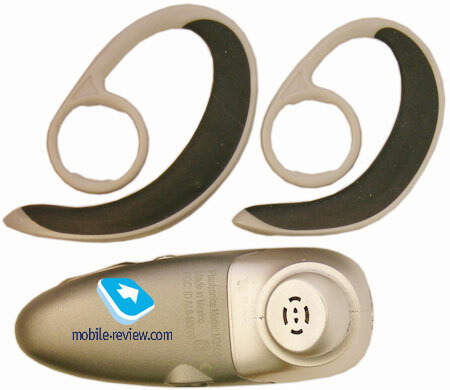 The volume and the power keys are located on the side surface of the headset either on the lower or upper end depending on the way the user wears the headset. 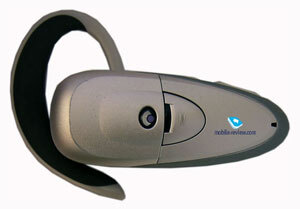 The main feature of M3500 was distinguished when the headset was in use. An integrated DSP-processor analyses automatically an incoming signal and blocks background noises, which significantly increases the quality of the transmitted sound. The licensed AudioIQ technology ameliorates the quality of the sound and dissolves the distortion if the subscriber talks from the noisy area. The quality is definitely better and can be appreciated even by an inexperienced user. Not a single subscriber complained of the quality of the sound even with the great noise on the background. Now, M3500 could be clearly a leading model for the sound of quality. 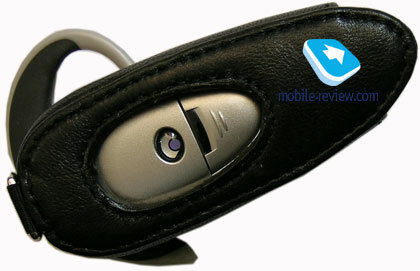 The headset supports two profiles-Hands-free and Headset, so it can be used with both phones and smartphones of the Symbian OS base. Voice recognition, dialing of the last number, volume control, microphone disconnection, the transferring of the call back, and forth to the phone are the functions available in M3500. 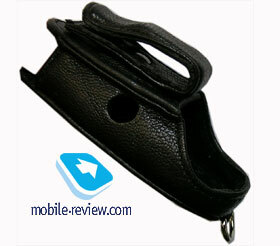 The leather case that can be hang over the neck or fixed to the belt comes along with the standard delivery kit. The latch on the case is rotating for the better convenience of the user. Summing up everything said above, the attention should be drawn to the fact that now M3500 is a leading model for the quality of the transmitted sound. The working time quality and the convenience of usage come hand in hand: at the active use, it is more likely for the battery to die than is it for the user to get tired of wearing the headset. Consequently, the headset would primarily satisfy those mostly caring for the quality of the sound rather than for the overall working time of the headset. The average price of the headset was $125 when the review was published. We are grateful to the representatives of "Ima" company for the provided handsfree headset.